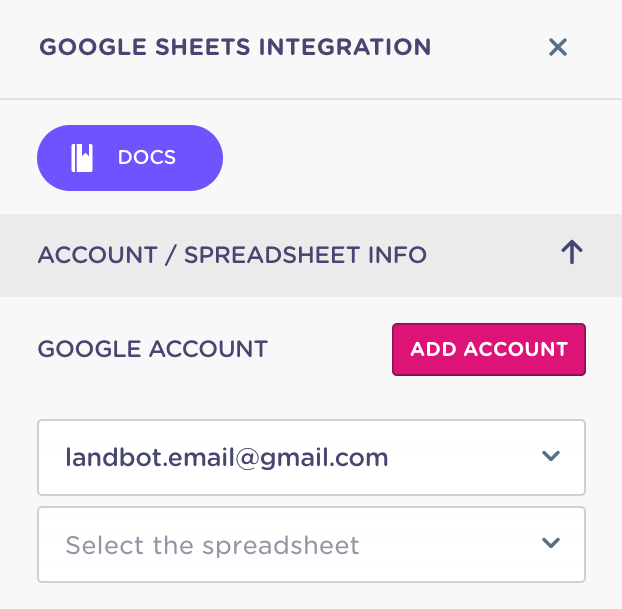 Learn how to configure our Google Sheet integration and perform complex actions without a single line of code: Sheets is now your Landbot's favorite database! 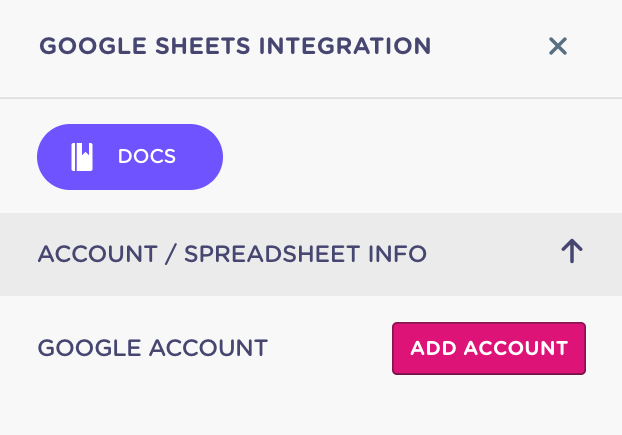 The Google Sheet integration is only available on the Professional and Business plans. We always recommend creating the Sheet before completing the integration. The style of the sheet needed will vary depending on the action define on the block configurator! As usual, the integration will be activated as the block itself is triggered on the flow so be careful with where you place it! 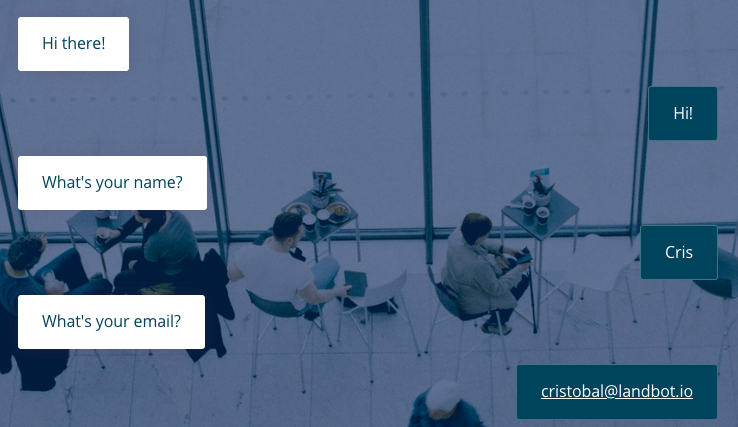 (After asking for the related data but soon enough to make sure visitors go through it! Select which column of the spreadsheet (left) corresponds to which field collected by Landbot (right). 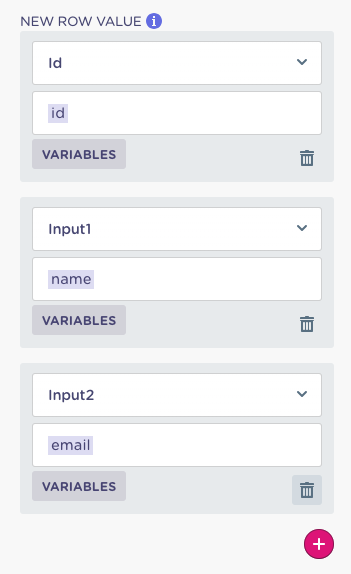 In the example below we're going to send the variable @name to the column "Name". 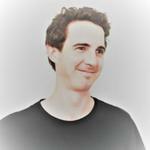 Search for a value collected by landbot within a certain column of the spreadsheet (e.g. "id"). Success. Path triggered then the name provided by the visitor exists in the Sheet, so Landbot was able to add the email next to it. Fail. Path triggered when the name provided doesn't exist. Search for a value collected by landbot within a certain column of the spreadsheet (e.g. "email"). Send back to the chat the info of another column in the same row (e.g. "name"). This means there are no columns in the sheet selected. Move on to your Drive and create some to complete the integration! The method "Get Data From a Sheet", returns a similar value but not the exact one that I was looking for. Currently the Get Data From a Sheet makes a search based on a "Contains" condition. 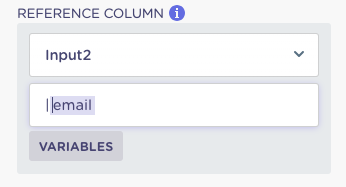 The fix to this problem will be to add another column with the same value, for example, email, but with the "|" symbol like |email@email.com. Use it in the Google Sheet Integration as well. This way, the search will contain all the email address, not just a part of it. If you create a new sheet (or edit anything in the sheet integrated already) but you don't update (and save) the settings in the Google sheet block of your integration, the integration won't work as intended or even might not upload any information at all.